Find and remove all thumbs.db files from your PC. 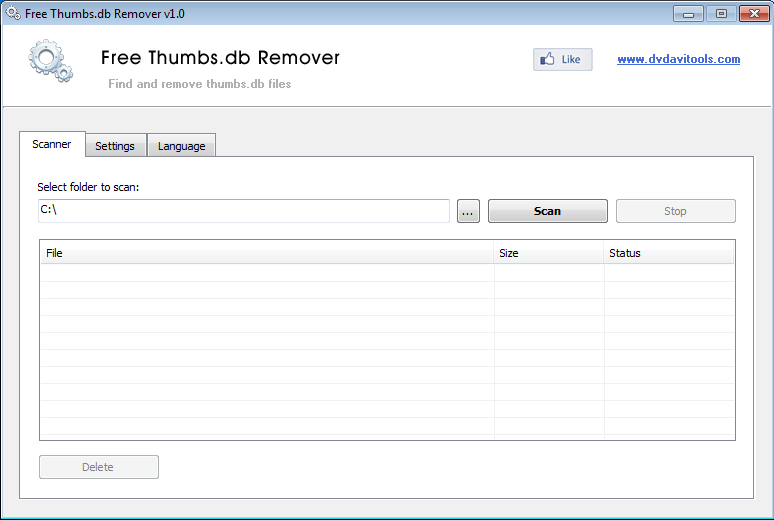 Free Thumbs.db Remover a free software used to delete all thumbs.db files from a specific folder and all its dubfolders. From the Settings tab you can reduce the memory usage during the scanning, play a sound when the scanning is finished and permanently delete files, so they cannot be recovered by specialized file recovery software. What is the thumbs.db file and why it is dangerous ? When you preview the images that are located in a folder, Microsoft Windows creates a hidden file called thumbs.db, which stores previews of the files located in the same folder, to speed up the opening of the files in the future. If someone steals the thumbs.db file, can easily view the preview of all the images you visited. If you want to disable Windows thumbs.db files from being created, open My Computer, click Tools and then Folder Options, within the Folder Options window click the View tab and under Advanced Settings, check the box “Do not cache thumbnails”.